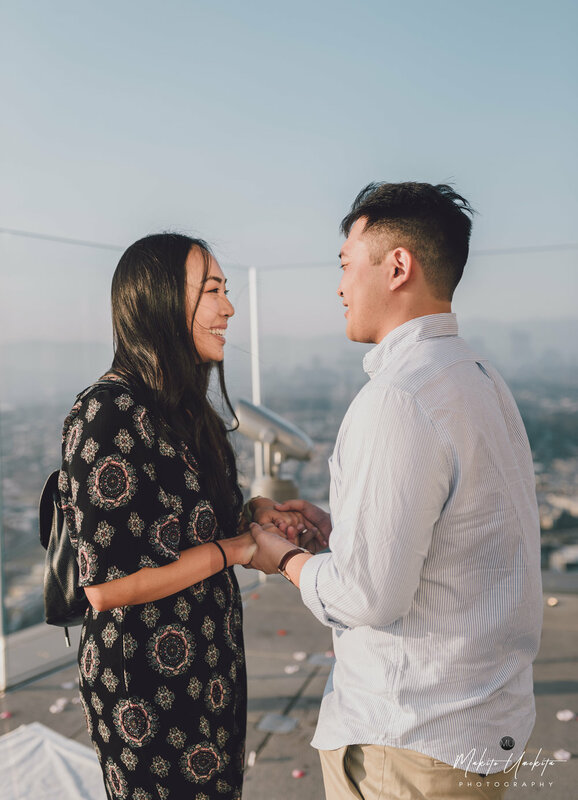 About 2 months ago, I got a text from my good friend Tommy asking if I could be his photographer for his proposal to his girlfriend (now fiancé) Rianna. 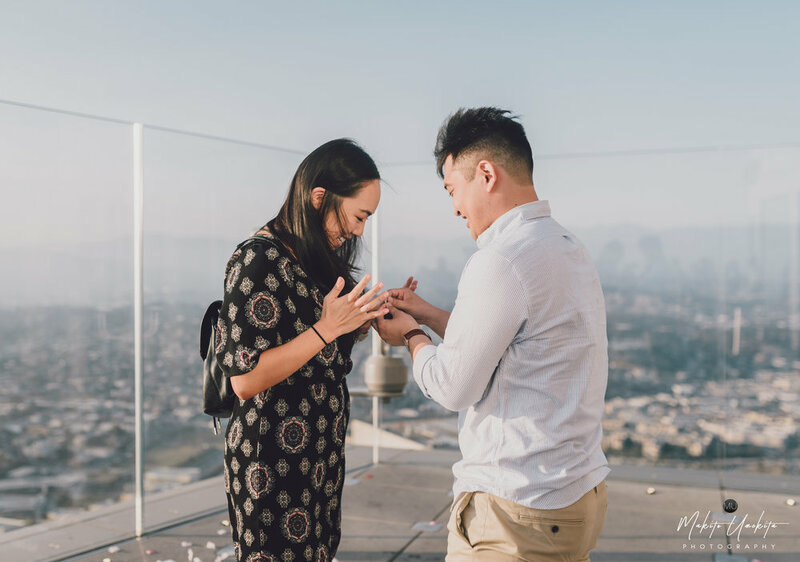 I was really excited when I heard the news since I was wondering (as many of his friends were) when he was going to propose to Rianna. Fast forward to 2 days before the proposal, Tommy called me personally to go over the final details for the big day! It's been a long and arduous 2 month process for Tommy in preparing for the proposal. 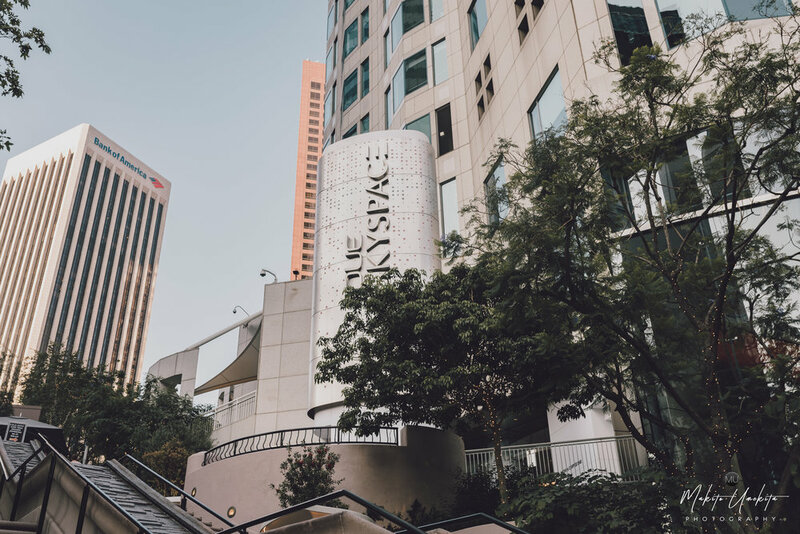 He originally wanted to do the proposal at a helipad in Downtown but eventually decided to go with Skyspace since it's pretty difficult to get a hold of the managers for these buildings that have a helipad in them. I knew of one helipad that was accessible but we would have to sneak up and didn't want to risk it in the end (maybe next time!). 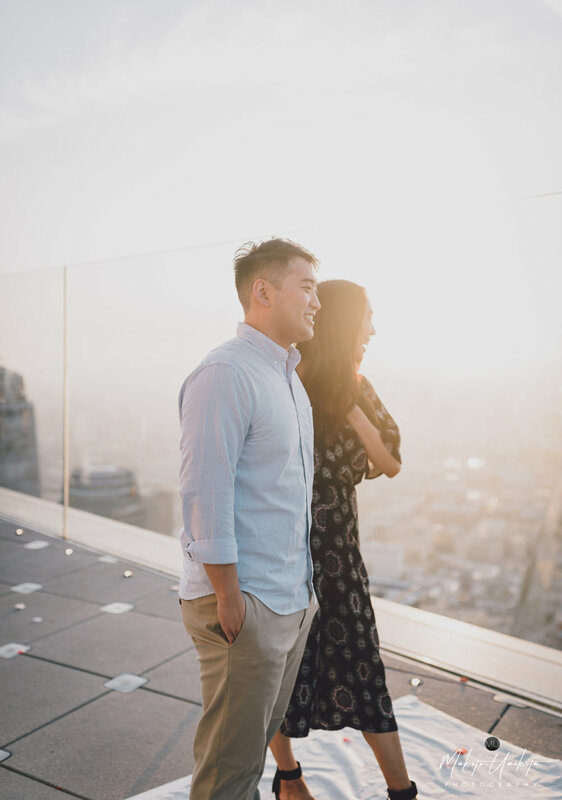 Skyspace holds special importance to both of them since the restaurant on the 71st floor was one of the first places that they went to for their first date. I met Rianna a few years ago when I was attending Venice Santa Monica FM Church. We didn't officially meet at the time but I knew of her and I saw her in the church. 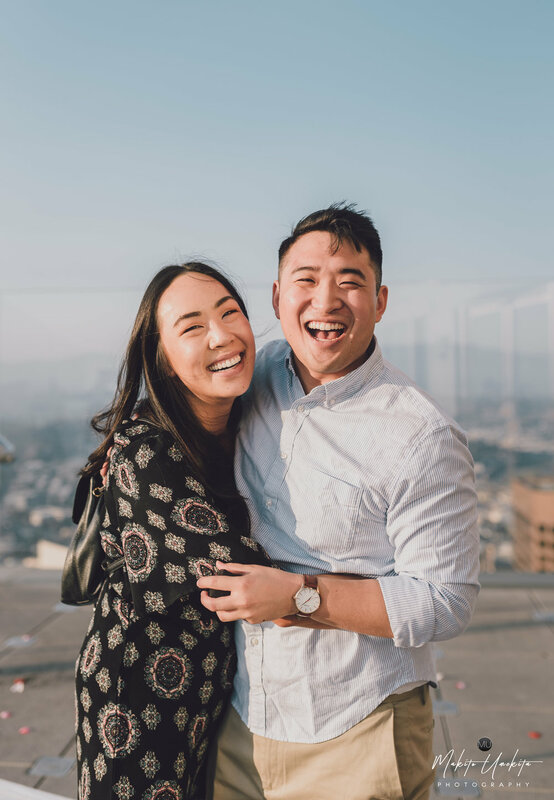 I met Tommy during my freshman year of college back at UCR when we were both attending Asian American Christian Fellowship. It's been 3 years since we both graduated and we both have grown a lot since then. I could already tell from how they both interacted with each other and the amount of chemistry that they had that Rianna was "the one" for Tommy. I will always be amazed of how God works in mysterious ways. I remember a few years ago when Tommy told me that he was going to attend PCJC Family Camp which is an annual conference for all of our FM churches in the PCJC. I was surprised that he was going since he goes to a difference church than our sister churches. At the time God was calling him to be a staff at the conference and that's when he met Rianna. 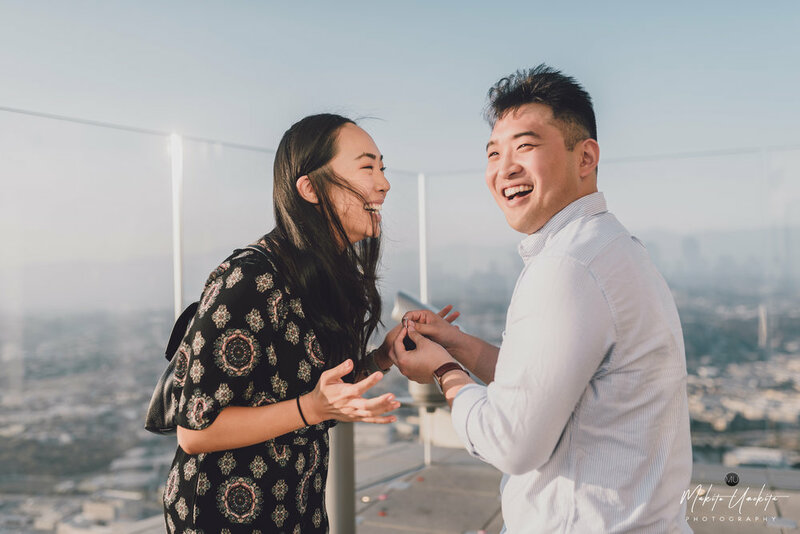 And as they say "the rest is history"
I felt really honored being the official photographer and among the few (the rest were strangers) to witness my friend Tommy propose to his now fiancé Rianna. Congratulations to the both of you guys and I can't wait for what God has in store as you guys start a new chapter in your lives.